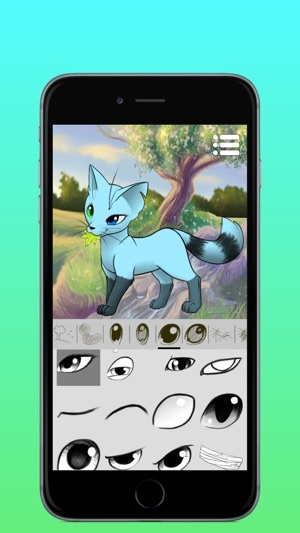 Want to create a pic of a new sweet cartoonish kitty? Or maybe you dream of an image of your favorite character but are not good at drawing? Our game is what you need! 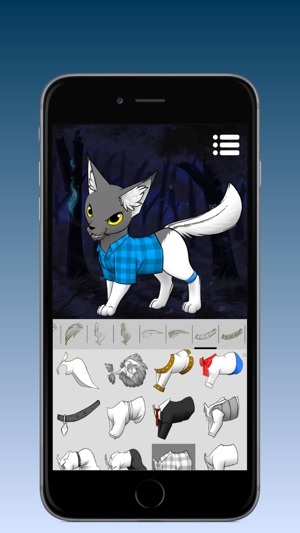 The app offers a large variety of fragments to make up your original kitty character (OC): whether a a soft and playful kittypet or a wild warrior. 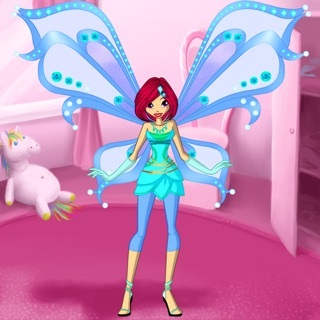 Customize its eyes, mouth, coloration, add wings, clothing and set up other attributes. Share your art or set it as wallpaper. - The new system saves! Your app is amazing! I love how they have those innocent features and then bloodthirsty features also. 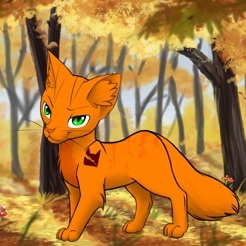 I would like it if you added glasses though, therefore if someone wanted you to create a cat avatar, they can put glasses on if he/she has a pair or wants one on theirs. 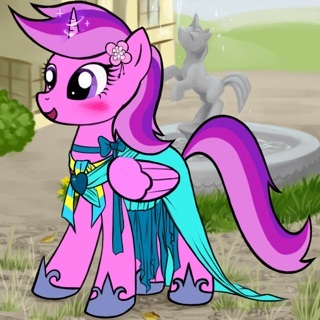 Maybe add a feature where you can make more than one color in a body part or feature, so it could be more ty-dye looking or if you wanted a collab of multiple colors. 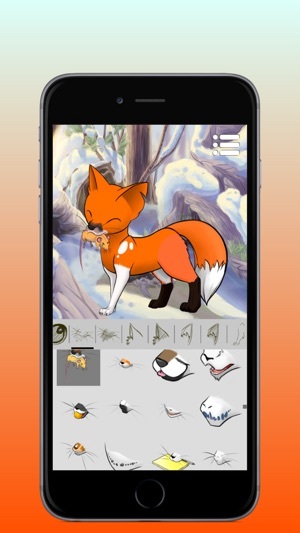 Maybe add a feature where you can choose a specific animal color, such as a fox orange. Or maybe a gingery color. Or add a color mixer to create many different kinds of odd and new colors! Maybe adding more thicker longer tails. 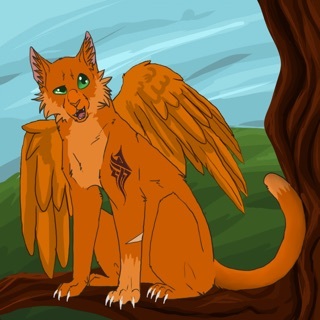 As I was making a Tallstar avatar, and could not find a thickish tail that had a white tip. There was one similar to it though, but thinner. Maybe add more piercing features. Such as: Snakebites, nose piercings, etc. You can choose any of my ideas, if you think they are worthy. I hope this review helped you to make some upgrades on the game! 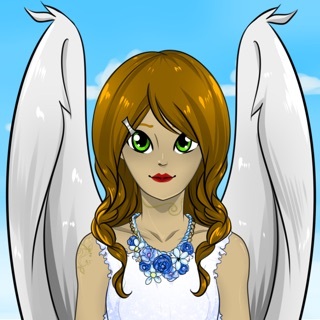 This avatar maker is really good!! It has loads of templates and thing to put on and around your cat!! You can make you cat look like it just fell out of heaven or you can make your cat look like a Jedi warrior! There are so many different things you can create on this!! 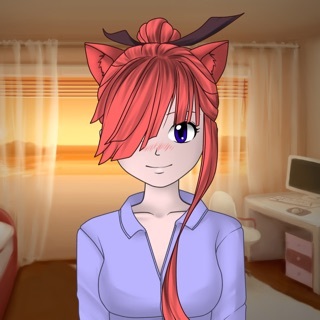 There is even a random generator, and when you click it u get a random avatar that you can work on or save! 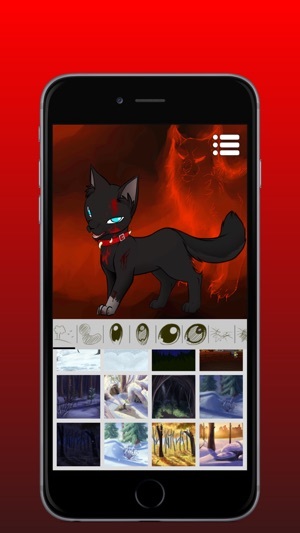 I recommend this app to everyone who likes cats or designing things! 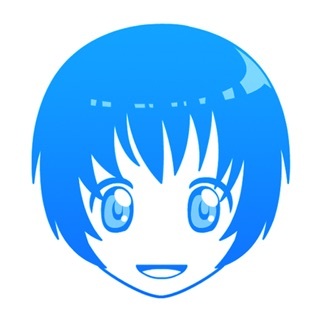 I also recommend that you save your avatar as an image because if you save it as an avatar in the app it doesn’t always work. It’s only flaw is if you are using it on an old device or tablet, it gets really laggy and shuts down the app and doesn’t save your work. So if you have a really slow and laggy device this may not be for you! Anyway this is an absolutely great app but the only annoying thing about it is that there are loads of advertisements. GREAT APP!!!! I love this app so much! I literally filled up the whole page in two days because I have so many OCs and the game is so addicting. 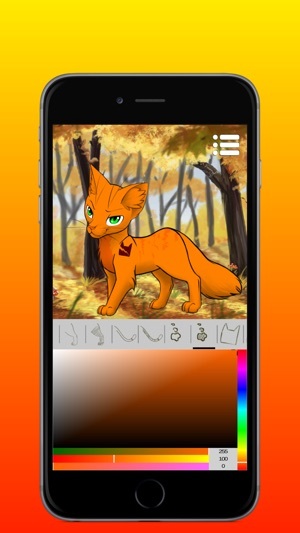 One thing I do wish was that maybe you could add a detail where you can change the color of your cats paws. And that you could make any detail you add a different color from others so it’s not all the same color. Like for example, let’s say you want the chest on a brown cat to be white, but you want some speckles on the back of the cat to be a different color. I sometimes get a little upset about it, but not too much that I don’t stop loving the game.❤️ I do wish you would add more slots so we could make more avatars. I know this game is free and you need to make ka-ching 💰 somehow but it would be nice if you add a few more slots to make more avatars. Overall, I believe this app is amazing!😻 To those of you considering to get this app, you should definitely get it. It’s so fun.